Real Fact: The “science” on climate is not “settled.” Demagogues declare otherwise to silence open debate. Demagogues and fools. Al Gore, who has found in Climate Change the opportunity both to Prophet and to Profit, is both demagogue and fool. He went to an Ivy League college — guess how he got in — and did horrifically poorly in science. It may yet take a Mueller Investigation someday to get at Obama’s college and law school grades and admission applications, but we do have Gore’s science grades — and they are gory. Among Al Gore’s college courses at Harvard — guess how he got in — he studied environmental science. In the course titled “Man’s Place in Nature” he got a “D.” The man who tells the world that environmental “science is settled” failed that very science course in a college where almost no one fails. This is the Guru of the Modern Age of Environmental Science. Go and calculate that AlGorithm. Adolf Hitler propounded “racial science,” extolling the racial superiority of the blond-haired, tall, muscular Aryan race — and yet he was a short, brown-haired Untermensch from Austria. Even that hand that he always kept extended horizontally for minions to hail him ended up in uncontrollable spasms and tremors by the time he was 50. And yet he mesmerized and hypnotized a nation into believing he and his ilk were racially superior. In no time the finest German university science departments were teaching racial science, taught by respected German science professors. Textbooks were authored. Doctorates were awarded. The “science was settled”: Blacks being compared to monkeys, Jews as sub-humans. An entire “science” built on hokum. How dare anyone deny settled science! A science professor needs to attract major money grants. With those grants, he or she can offer fellowships to doctoral candidates to do research under his or her tutelage and sponsorship. A science professor who cannot bring federal and related grants to his or her university will not have great graduate students to mentor or the money to conduct great research that can be published in respected professional journals. To qualify for that money, the professor must submit grant applications that persuade funders of the value of the proposed research. So let us be brutally honest here: A professor who seeks serious funding for environmental-science research that questions or debunks aspects of the Theology of Global Warming/ Climate Change will not get funding. He or she will die professionally much sooner than twelve years hence. By contrast, a “scholar” who writes a grant proposal for research to advance the Theology of Global Warming/ Climate Change will get the funding. That is the reason that so many more “scientific” papers advocate the inevitability of it all ending in twelve years. Follow the money. The “science is settled”? Not all. Rather, the politically favored “science” is funded. Ayn Rand warned about this phenomenon in Atlas Shrugged, and it is true. In a Germany that once had been identified almost synonymously with science, a fraud called “racial science” suddenly held sway for an era. That is what happens when politics interferes with science — science stops being scientific. There is a story told of a scientist who tells a butterfly to fly — and it does! Then he clips its wings and again tells it to fly — but this time it does not fly. He records his scientific findings: “When a butterfly’s wings are clipped, it becomes deaf.” That is the Science and Theology of Global Warming/Climate Change. All lies and jest; still a man hears what he wants to hear and disregards the rest. Thus, for one of Al Gore’s speeches on global warming, his flight was grounded and his speech canceled because of a blizzard. The scientific determination? The blizzard is further proof of global warming! Climate change protesters in Colorado had to cancel their march because of a foot of snow. The cause: Global warming! A House Environment subcommittee hearing on global warming had to be canceled because of a blizzard that kept 375,000 federal workers at home. A polar vortex recently froze the people of Midwest America more intensely than they have experienced in decades. The only three guys in all the American Midwest who dared brave the arctic-quality freeze in the middle of the night were one Jussie Smollett and two men wearing red hats and walking around Chicago with a rope, looking to lynch a Gay Black in the middle of the night on a stalagmite or stalactite, while yelling “MAGA! MAGA! MAGA!” And what does the “science” say? “The polar vortex is further proof of global warming.” Deaf butterflies. This is science? Not at all. Yes, of course climate changes. There are cycles when the globe gets warmer and others when earth cools. Yet notice that even the Left increasingly has backtracked from the term “Global Warming.” Now it is “Climate Change.” Too many polar vortexes. Or as we academics prefer: polar vortices (though “vortexes” is allowed). Science always has been this way. On one hand, some great minds without a political agenda pursue pure knowledge — true science. They follow a scientific method, often encounter disappointment when theses are not confirmed, yet sometimes register life-changing breakthroughs by remaining steadfast to the honest apolitical scientific method. Many of them have won well-deserved honors and distinction, even Nobel Prizes in areas including Chemistry and Physics. (Such prizes in “hard sciences” are distinguishable from the political nods like the Nobel Peace Prize. Sometimes that one goes to a Red Cross, an Albert Schweitzer, an Andrei Sakharov, an Elie Wiesel. Other times to an unrepentant terrorist like Yasser Arafat, to an empty suit like Obama before he even has a chance to prove that he never will deserve it, or even to an Al Gore through the back door because he could not get the award in science — so he got it for peace. 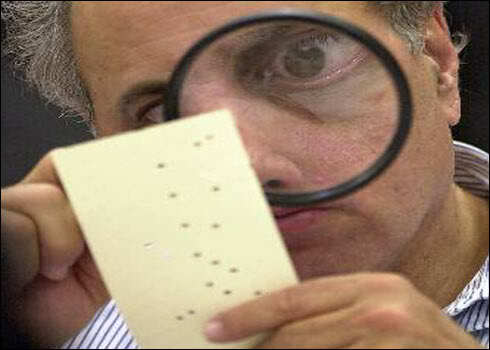 Holy Hanging Chad, Batman!) Science always has been caught between the charlatans and the sincere. Think back to the 16th century: Copernicus and Galileo. We remember them because they defied the “settled science” of their day, and they maintained that the sun, not the earth, is at the center of the universe. We have outlived the “settled science” of Aryan racial superiority. No objective science model can justify the foolishness of a New Green Deal that advocates a $93 trillion price tag on peril of doom in twelve years. Not even if “only” $50 trillion. Dirty water of course is perilous, as is dirty air. Visitors to India, home to thirteen of the world’s twenty most-polluted cities, can attest to both. More than one million die prematurely every year because of India’s increasingly dirty air quality. Thus, in 2017 the United States reduced its carbon emissions by 0.5 percent in a year that our economy grew by 3 percent, as shale oil and gas transitioned us away from coal to cleaner energy. Still, China produces 28 percent of the world’s carbon emissions. And India is the world’s third largest carbon polluter, having increased its emissions by 93 million metric tons in 2017 — an increase more than twice the amount of emissions that the United States reduced. Thus, no regulating of American energy production will impact the greater world-wide impact of carbon emissions, but if we stifle our cleaner energy production here by enacting restrictive laws, we simply force purchasing more energy from overseas sources who produce theirs in filth. China has proven itself unable to honor basic international treaties and human ethics, as it blithely imprisons millions of Muslims and steals intellectual properties as a national mission, while hacking into computer systems to get personal information on tens of thousands of Americans. They will not honor any “Paris Protocols” or other environmental initiatives. The closing down of our oil and natural gas industries not only would put at least two million out of work here but also would close us down and leave us vulnerable to China, North Korea, Putin, and the Arab Muslim world — whichever gets here first. Meanwhile, Dr. John Christie, Distinguished Professor of Atmospheric Science and Director of the Earth System Science Center at the University of Alabama, recently stated: “If the United States disappeared from the planet right now, the effect of global temperatures would only be about a tenth of a degree by 2100.” Meanwhile, Germany is on track to spend $580 billion by 2025 on its transition to renewables, but its emissions have not reduced because their wind and solar energy require fossil fuels anyway for periods that are not windy or sunny, and those sources require vast expanses of land. In the ultimate synergy between Climate Change and Left Hollywood pop culture, Al Gore made a 2006 Hollywood hit movie about global warming and impending doom. Gore’s movie stated as fact, for example, that Global Warming would doom Mount Kilimanjaro’s peaks to be snow-free within ten years. Better not tell that to Mount Kilimanjaro Snow Peak Resort. On the day of this writing, more heavy snow is predicted there. The passage of more than a decade has allowed time for so many of his movie’s dire definitive predictions to be proven false. Indeed, the entire Climate Change industry has charted a remarkable catalog of wrong fatalistic predictions dating back nearly half a century. The science is not settled. Polar bear populations have remained steady for fifty years. Antarctic ice caps have increased, and those in the north have remained steady. Climate Change activism proved even more perilous and outright deadly during the 2017 Grenfell Tower fire in London. The building had been retrofitted with climate-friendly cladding to enhance energy efficiency and to enhance the environment: “The reclad materials and new windows will represent a significant improvement to the environmental performance of the building.…” After the inferno, investigators found that the cladding had helped accelerate the fire wildly, killing more than seventy people. As to what caused so many innocents to die, that science is settled.